He peeked around the side of his cinder block house; his dark brown eyes shielded by heavily lashed eyelids. He smiled and I could see a spark of mischief in his eyes. It’s a look I’ve seen before in three-year-old boys. He walks over to a fence and talks with a friend. They play with the barbed wire that lines the perimeter of their house, wrapping long leaves around the sharp barbs. I swear, he looks just like my son. His complexion is darker and the language is different, but I look at him and see the same eyes, the same smile, the same gusto as my oldest child. They are only a few months apart in age, but their life situations are worlds apart. His mother, Ana, never attended school. Fortunately, her father taught her how to read and write in her home. The oldest of nine children, Ana shared about her childhood and her father’s eventual illness. 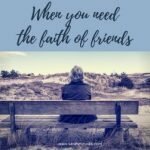 She shared how she met her husband through a family friend and how one day he went to an event at the local church where he heard about the Lord. 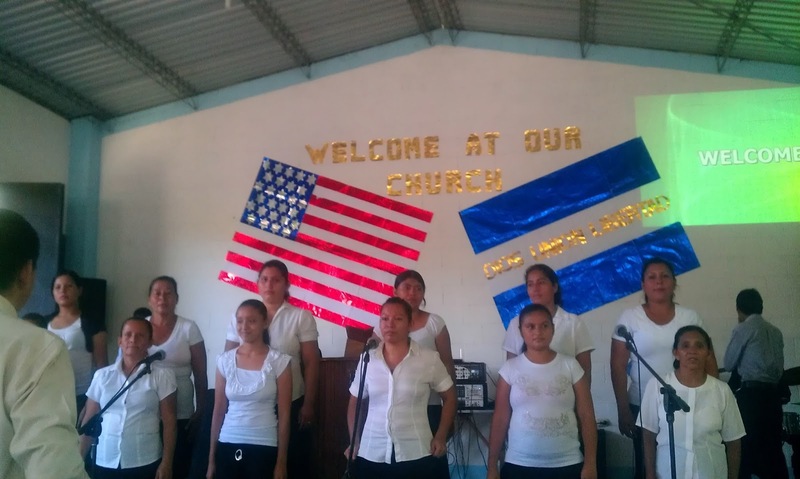 Three days later, Ana went to the church and was able to hear the message of salvation. They now have two children a little boy, age three, and a one-year-old daughter, Esmerelda. She and her husband have been married for five years, but they have been together for eight. They raise dairy cows in order to support their family. In the morning they milk the cows and the husband then transports eight containers of milk on his motorcycle to sell in the market in San Salvador. If they have a good day, they sell about $8 of milk. A portion of the money goes to pay the boy who helps sell the milk in the city and a portion then goes to provide care for the animals. When a cow no longer produces milk, they sell it and then use the money to purchase another animal. Her husband began tending cows when he was eight years old. 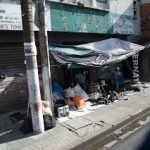 The average family living in poverty in the rural areas outside San Salvador survives on $1 a day for a family of five. In steps Compassion. A few years ago Compassion International opened what is called a Child Survival Program in their community. The Child Survival program seeks to educate and equip moms as they face the crucial first years of a child’s life. 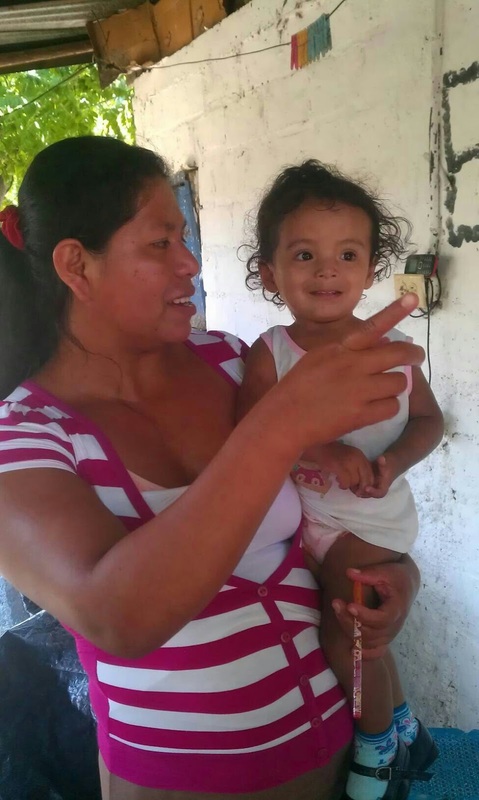 When the program first arrived in the area, Ana’s first child was 1.5 years old. A volunteer from the Compassion project came through asking if there were any pregnant women in the community who would be interested in participating. A few months later, Ana found out she was pregnant with her second child. She immediately went down to the center and enrolled. 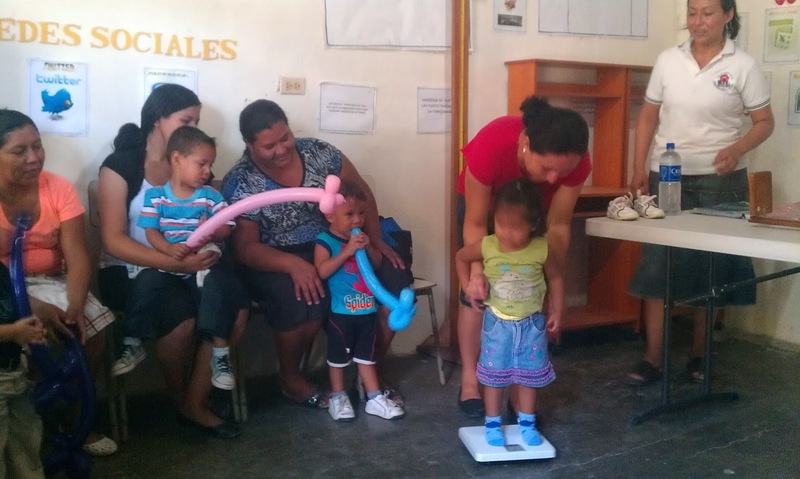 The Child Survival Program focuses on four main areas: Physical, Spiritual, Cognitive, and Social/Emotional needs. What I really appreciated about the program is that they refer to the mother and child as a unit, “un union.” They attend to the needs of the mother, knowing that by equipping her, she’ll be best able to care for and nurture her child. One thing a mother in the program said really stuck with me. “The Child Survival Program helped me to dust off my dignity.” She told me that many of the women in her community struggle with low self-esteem and low perceptions of self-worth. By teaching these women that they have value in God’s sight, it enables them to have a healthier image of themselves, which can then be communicated to their children. They have value because they are created and loved by God. 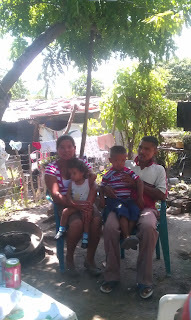 In the culture of El Salvador, there are many times when a woman is left with a child and no husband/father in the picture. It’s not uncommon for a man to have children with multiple women and then move on when he so desires. Some of these women are so in need of financial stability that they will stay with an abusive boyfriend simply because they have no other way to physically survive or support their families. Poverty can be a prison. The chains can be mental, emotional, and financial. The mission of Compassion is the set the prisoner free in Jesus’ name. Yes, Compassion meets the physical needs of these families, but what I heard over and over again from the moms that I spoke to, is that they appreciated the spiritual nourishment as well. They appreciated the times of prayer and Bible Study with the other moms at the Child Survival Program. 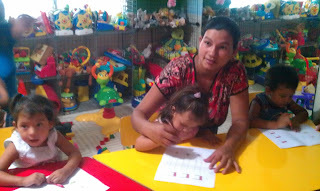 They valued the lessons on basic things like nutrition, developing fine motor skills, and child development. 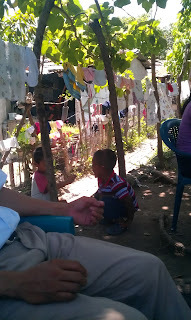 We sat at Ana’s home, under the shade of some palm trees and listened to her story, her testimony. 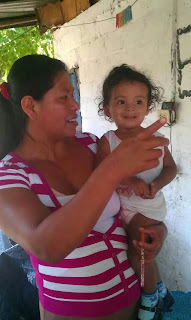 Ruth, one of the Compassion workers shared a Bible verse with Ana and her family. I seriously could write volumes about today – about the amazing children I met and the tireless workers who face unique challenges and dangers, about the mothers and the babies and the difference that Compassion is making in their lives. I know there are a bazillion different agencies helping the poor, but I’ve seen this one behind the scenes and you won’t meet a better group of people, with a passion and a love for the Lord and for the children of this country. *Regular medical exams for both the mother and the child, begining at pregnancy. *Food supplementation for those children at nutritional risk. *Mosquito nets for the sleeping area (which is very important in an area where Malaria and Dengue Fever are present). *Workshops for the mothers so that they can learn a trade and help support themselves financially. (The CSP we visited today teaches the mothers how to sew. They are then able to make clothing for themselves and items to sell at markets). Ana was so proud to show us the skirt she finished sewing the day before. *Birthday parties for the mothers and their children (One mom said she was so excited for the chance to eat at a restaurant. And was proud to announce that there were TWO pinatas: One for the mothers and one for the children. *The children also receive a developmentally appropriate toy every three months. 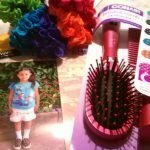 Ana said that this was such a blessing since they don’t have the resources to provide simple things like toys for their children. I seriously could go on forever. 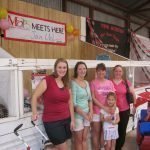 As a mom myself, I felt a bond with these women. We all enter motherhood the same. Not entirely sure what to expect, not entirely sure what to do. I’m so thankful that the people of Compassion have come alongside these women and have sought to be a blessing in all areas of their lives: physical, emotional, spiritual, and cognitive/knowledge. Over and over again they wanted me to tell everyone how thankful they are for the program, that is has made a difference in their lives and in the lives of their children. We talked with Ana about the dreams she has for her children. I want my children to know the Lord. I would love for my son to be a pastor or a president of youth. I want them to be leaders and to love the Lord, and thanks to the work of Compassion here in El Salvador, Ana’s dreams for her dark-eyed son just may come true. Sarah, I'm ever so glad that you met these lovely people in El Salvador. Thank you for taking the time to let others know about the work of Compassion! My husband, four children, and I visited our Compassion sponsored children in the Dominican Republic this May. Life-changing. We did not go expecting to be impressed, and yet we came back with a passion to promote this ministry that sets children free from poverty in Jesus' name. I became a Compassion Child Advocate and through the latest Network News, I was introduced to your delightful blog. 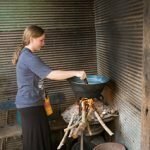 I have started a new blog, xenophileathome.wordpress.com. May many more have the joy of the sponsorship as we share the good news!